San Francisco (Obama.net)- Ten months ago, one of the most devastating earthquakes in recorded history occurred. The country that it hit was Haiti. The state, which was already nowhere near the strongest in terms of economy, was ravaged as death rates are estimated to be approximately at a quarter of a million people. As the country has been doing all it could to rebuild, it was hit with more devastation last month in the form of a cholera outbreak. The number of reported cases of cholera is rising at a rate much faster than was expected. In Cite Soleil alone, the number of people affected with the disease went from 30 at the beginning of the week to 216 by Thursday. According to officials working in Haiti to help those inflicted and to try to minimize the spread of cholera, the rates are only going to rise in the coming days. The man in charge of the Medecins Sans Frontieres, the main medical unit at Choscal Hospital, Stegano Zannini, said that in the last three days, the rate of reported cholera cases is seven times greater. As of Friday, the number of reported cases totaled at 12,303. Just five days earlier the total was approximately 7,000. A total of 796 deaths have occurred. 213 deaths were reported in the last three days alone. It is being reported that due to the nation of Haiti not being immune to cholera, all ten million people in the country could catch the disease, which is predicted to not be controlled for potentially months. The United Nations is predicting that by the end of the situation, 200,000 Haitians could be diagnosed with cholera. 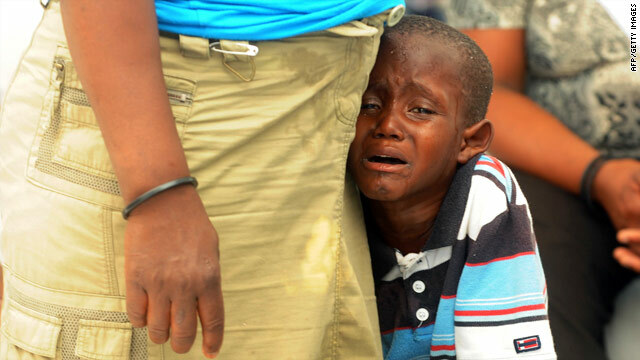 The international organization is also collecting over $160 million in aid funding to help Haiti battle the disease. Zannini said that while the money is greatly appreciated, “It’s not just about donating money, it’s about concrete actions.” He said clean water, sanitary bathrooms, and a way to get rid of waste is needed. Cholera, which can kill a person in just a matter of a few hours, is spread by unsanitary, contaminated drinking water.